In Benjamin Franklin’s day, he likely could not have imagined all the different kinds of taxes we deal with today or the many variations in taxation throughout the United States. 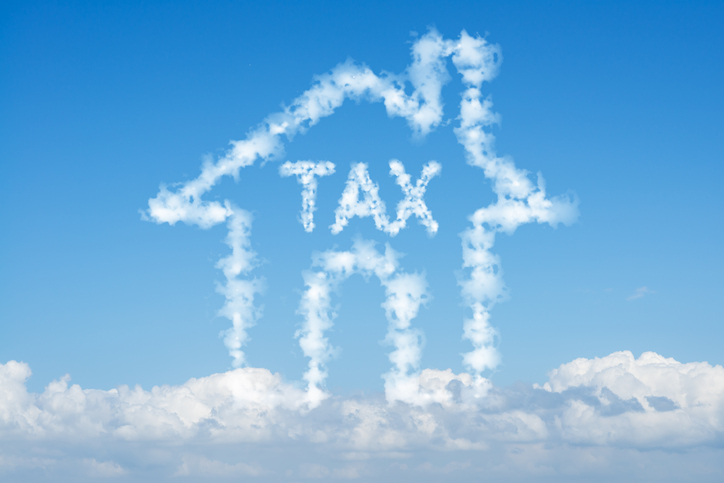 In areas where property taxes are high and local sales taxes are high or state income taxes are high, home ownership can be out of reach for many potential buyers simply because of all the taxes. With a general property tax rate around .57% of average home value, South Carolina is one of the states with the lowest property tax rates in the country. 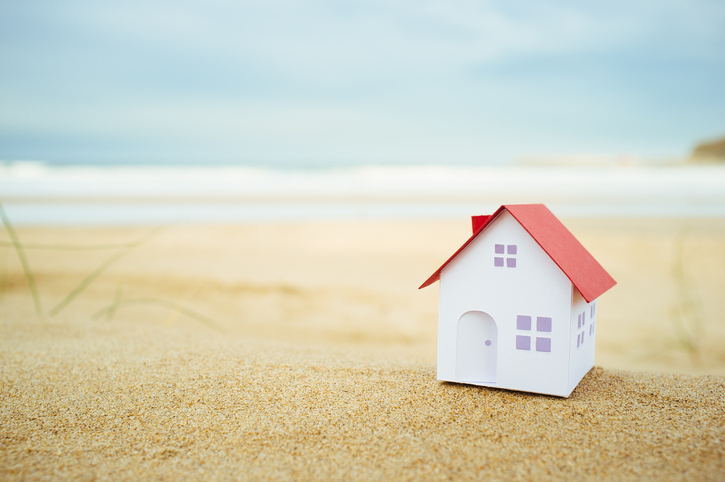 While the property taxes alone are a great reason to consider buying a home in South Carolina, additional factors along the Grand Strand make this real estate market an even better bang for your buck. The large amount of new home construction and available inventory have kept home prices more reasonable than markets with less inventory available for buyers. The Grand Strand also has lower than average home prices when compared to other major housing markets along the east coast, making it among the most affordable markets in the coastal real estate category. As with any major decision, it is important to do your homework! Connect with existing residents, join social media groups for communities of interest to learn about the area, review state websites and also read local community websites. James Haas, Your REMAX agent in Myrtle Beach, can help you explore your best low property tax home buying options in the communities that interest you most and will save you money. Exciting things are happening all along the Grand Strand! Here are a few of the current and upcoming area changes to keep you in the know! Long known as a local hot spot for shopping, dining and entertainment, Broadway at the Beach is undergoing a major revival. Among the changes and new attractions are a new 118 foot tall Ferris wheel, several new specialty shops. the Myrtle Beach area’s first Wahlburgers location, the opening of the American Tap House, the area’s first Dave & Busters location (former Hard Rock Cafe site) and the upcoming Carolina Ale House location (former Planet Hollywood site). As the actual city of Myrtle Beach continues to reinvent itself, a couple of major changes aim to shift the dynamic of the downtown area. The Chapin Memorial Library will be relocating to a newly-constructed building in the “superblock” area at 9th and Nance Street. Joining the library will be the Children’s Museum of South Carolina, which will also be getting a newly constructed facility that includes the latest accessibility options to allow children of all different abilities to enjoy the museum. On the north end of the Grand Strand, residents are excited to finally see the closed and abandoned Bay Tree Golf Course area moving forward in a fresh direction. After a previous developer bought the land with the intention of redeveloping it before the plan stalled out, the new developer is poised to breathe new life into the community. The redevelopment of the former golf course area will include at least 1,500 new homes and a new community park sprawling over more than 19 acres. These are just a few of the exciting changes and upcoming efforts to provide new and updated options for our residents and seasonal guests. For more information on Myrtle Beach real estate, commercial or residential, contact REMAX agent, James Haas today at (843) 602-7246. Buying Versus Renting in Myrtle Beach- Which is Better? The question of whether to buy or whether to rent is often complex with many issues factoring into the decision. One of the primary factors is affordability – whether buying will be more affordable than renting. The 2017 Rental Affordability Report by ATTOM Data Solutions indicates that in 66% of major U.S. housing markets, buying is the more affordable choice. That means that in 34% of these markets, renting is the more affordable option. Housing experts anticipate that renting is likely to grow as the more affordable option in many housing markets. But why? Mortgage rates have been increasing and that trend is expected to continue. When combined with a shortage of available inventory driving up home prices in many markets, the option to even consider buying will be out of reach for more and more renters looking to make the switch to home ownership. Another influencing factor in the choice between renting and buying is that while cost of living has increased, mortgage rates have increased and home prices have increased, wages and income have remained fairly stuck and frozen over the last several years and are not expected to “catch up” anytime soon. In the overall Myrtle Beach and Grand Strand housing market, buying remains a more affordable option in many area communities. With the amount of new home construction and a fair amount of available inventory for homebuyers, buying is the more affordable option for many people. However, the Myrtle Beach area is currently one of the fastest-growing housing markets in the country. As the demand and number of buyers begins to reduce inventory, prices will rise and the balance is likely to eventually shift. If you have been considering making the leap from renting to buying, now may be the best time to make the switch in Myrtle Beach. 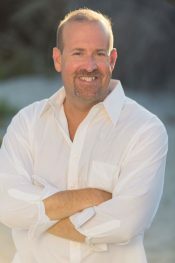 Contact James Haas today for more information on the Myrtle Beach real estate market. All parents want what is best for their children and it should come as no surprise that homes in zip codes with top-rated schools would be in high demand. This high demand results in higher home values and more steady appreciation of home values over the long term. Not only does choosing a home in an area with good-rated schools benefit your children with a higher quality education, it benefits your family’s financial future over time. How much of a difference do schools with good ratings make? Home values in zip codes with at least one good-rated elementary school (at minimum) were found to be an average of 77% higher than in zip codes with no schools with good ratings, according to the 2016 Schools and Housing Report by ATTOM Data Solutions. The report also highlighted that over the previous 10-year period (2006-2016), homes in districts with a good-rated school appreciated in value an average of 4.5% more than homes in districts with no top-rated schools, despite the recession. As the largest county in South Carolina, Horry County has a decent share of school districts with consistently good-rated schools. Here are a few to consider in your home search. 29579 – Carolina Forest: Perhaps one of the fastest growing communities in the Grand Strand, Carolina Forest boasts several highly-rated schools. Top-rated schools in this master-planned community include Carolina Forest Elementary, Ocean Bay Elementary and Carolina Forest High School. The median home value of $310,000 can be deceptive though as this zip code has a very large range of home values from under $200,000 to over $1,000,000. This large range means more options for homebuyers searching for different price points. 29588 – Socastee: The historic and laid-back community of Socastee is a great choice for homebuyers looking for reasonable home prices while still enjoying the benefits of a top-rated school. Socastee High School is consistently among the highest rated high schools in the county, yet the median home value is a modest $156,500 – for now. Renewed interest in this community is expected to push up home values in the coming years. 29576 – South Strand (Murrells Inlet, Garden City Beach, Surfside Beach, Burgess): Several communities in the South Strand region of Horry County are served by St. James High School, recipient of the Palmetto Finest School Award in 2016. Located in Murrells Inlet (zip code 29576), where the median home value is $212,750, this top-rated high school serves a student population spanning a fairly large area along the Grand Strand to the south of Myrtle Beach. Homebuyers looking for good-rated schools in Horry County will find a variety of options in the areas of Carolina Forest, Socastee and the communities of the South Strand. James Hass, your Myrtle Beach ReMAX agent, is your local expert on the zip codes with the best schools and greatest home value and appreciation value potential. Home Pricing Myrtle Beach. Happy New Year to everyone! You may be considering putting your home on the market in 2017, and there’s many variables to consider to getting it sold. Cleaning, de-cluttering, and getting the exterior of home ready are just a few items that need to be done, but how much do I price my home for? Is it not the best on the block? Pricing your home can be a tricky thing to do. Sellers want as much as possible for their home, and want maximum exposure to the home as well. Pricing your home too high to leave room for negotiating can sometimes turn away potential buyers. Sellers also fear of pricing their home too low feeling that they’ve left money on the table. Similar homes sold within your area is the best way to determine your homes worth. While working with a real estate professional, access to these homes is easily obtained. Contact James Haas at 843-602-7246 to schedule a listing appointment. 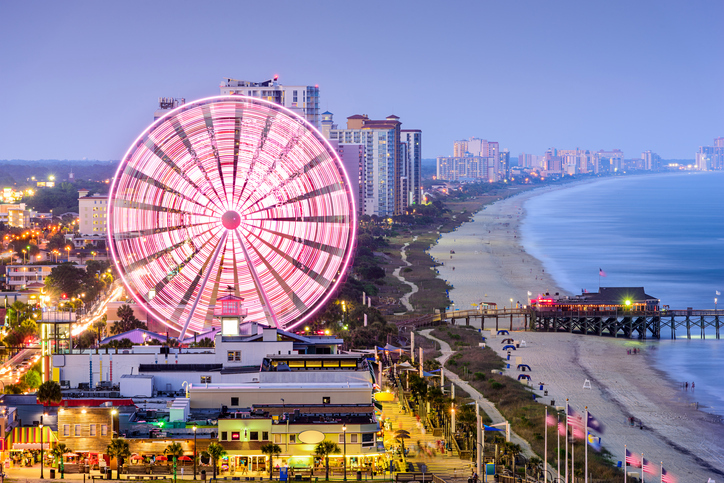 What Can We Expect With Myrtle Beach Real Estate? For the past year, inventory shortages for existing-home sales have continued, and the momentum has moved higher for the second consecutive month, according to the National Association of Realtors®. A jump in sales in the Midwest and a decent increase in the Northeast offset smaller declines in the South and West. The total existing home sales for single family, condominiums & townhouses are up 1.7%. NAR chief economist, Lawrence Yun, says that the increase in Spring sales shows a sign of momentum for the Spring & Summer. Yun explains that three year low interest rates is a big reason for the preservation of affordable housing for Spring of 2016, but also fears that the lack of increase of wages will eliminate a lot of inventory for some. Freddie Mac reports that a 30-year, conventional, fixed-rate mortgage dropped from 3.69 percent in March to 3.61 percent in April, which is the lowest since May 2013 (3.54 percent).